If you have been injured in the UK by a healthcare professional and would like to speak to a specialist medical negligence solicitor about hernia repair negligence without further obligation, just use the helpline. Do yourself justice and call our solicitors offices today. Our medical negligence solicitors operate using the no win no fee* scheme and you will not have to fund or finance your claim in any respect. In the event that the claim is successful the other side will pay our legal charges and if we are not successful you pay nothing at all. A hernia repair is also called a herniorrhaphy. There are three types of hernia repair: there is ventral hernia versus an inguinal hernia repair versus an umbilical hernia repair. Inguinal hernia repair is the most common type of hernia. It involves having a hole in the tissue that holds the intestine in so that a loop of intestine can slip down through the hole possibly strangulating and causing the need for an emergency surgery. Usually hernias can be manually reduced and a surgery can be done electively. If it cannot be reduced manually, surgery needs to be done much sooner. If a hernia is small and asymptomatic, it can simply be watched. Ask your doctor what kind of inguinal hernia you have and when you need to have it done. Inguinal hernia repair can be done open or laparoscopically. The doctor can use mesh to close the hole or can use stitches to close the defect. The surgery takes about an hour or less to do. Children usually need surgery to correct their inguinal hernia. Children can be born with inguinal hernias. Babies who are six months old or younger who are found to have an inguinal hernia have a great risk of strangulation than older kids so surgery is never delayed in this group of individuals. An infant doesn't need synthetic patches in order to repair their hernia. Infants with inguinal hernias need to be hospitalized afterward rather than having their surgery repaired as an outpatient. These include infants who have heart or lung problems, or seizure disorders. Those born prematurely need to be hospitalized after their herniorrhaphy rather than going home directly after surgery. The opposite side may need to be explored in surgery because 30 percent will have bilateral disease unknowingly. If the child is healthy and if there is a risk of incarceration of the other side, there should be exploration of the opposite side, provided the surgeon is skilled enough to do the procedure. There are two surgeries to think about: an open inguinal hernia repair versus a laparoscopic hernia repair. Of the two, laparoscopic hernia repair is the most commonly done procedure. The major complications of either are bleeding, infection and puncture or damage to the intestines. Laparoscopic surgery may not be able to be done for a person who has had multiple adhesions from previous surgery to the abdomen. If a hernia will recur, it usually does so within 5 years post operatively. The risk of hernias coming back following a previous herniorrhaphy depends on the surgeon's skill, the type of hernia, and if mesh is used. The person's age and health have a lot to do with getting a recurrence of an inguinal hernia. Rates are lower with an experienced surgeon, particularly with a laparoscopic surgery. The overall chance of coming back following an inguinal herniorrhaphy is between 1 to 10 out of a hundred surgeries. The use of mesh will decrease the chances of a recurrent hernia after the herniorrhaphy by about 50 percent. Another type of surgery done is the ventral herniorrhaphy. This is done when an individual has a hole in the ventral abdominal wall. It can occur anywhere in the front of the abdomen and are more common when the individual is obese or doesn't stay fit with exercise. It can also be hereditary or happen following another abdominal surgery in which the abdominal wall wasn't repaired completely. Usually mesh is needed to close the defect permanently. Another abdominal hernia is an umbilical hernia. This is usually a congenital condition that can wait until adulthood or may need to be done earlier if the doctor determines there is a high risk of herniation or strangulation. For honest and independent legal advice contact our legal professionals today. If you have suffered personal injury and you fear you may have been the victim of incompetence there is no time for delay. In order to know your options you should seek expert legal advice as soon as possible. 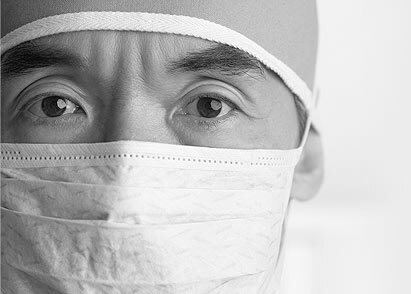 Our surgery medical negligence solicitors operate a no charge service whereby you can meet us in person or chat over the telephone with one of our experts and obtain initial advice. If you subsequently decide to proceed no further then that is your right and you will not be charged for our initial advice.